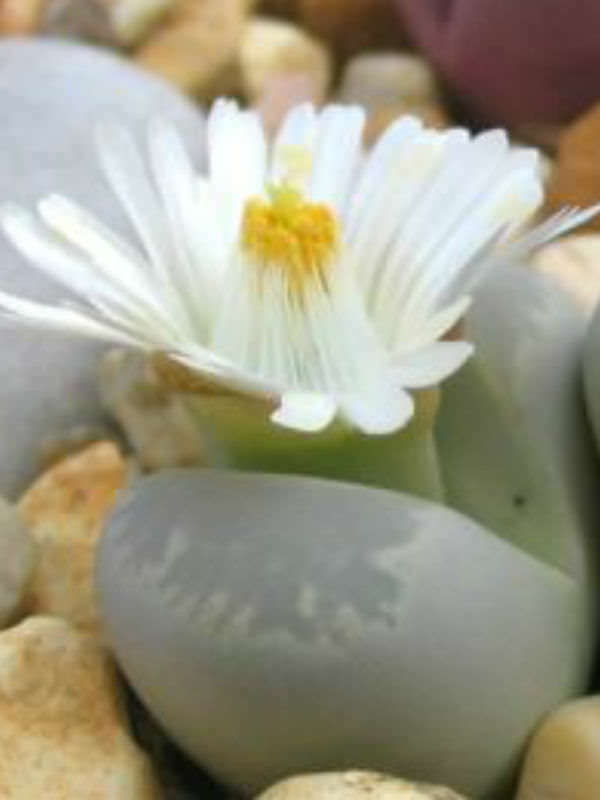 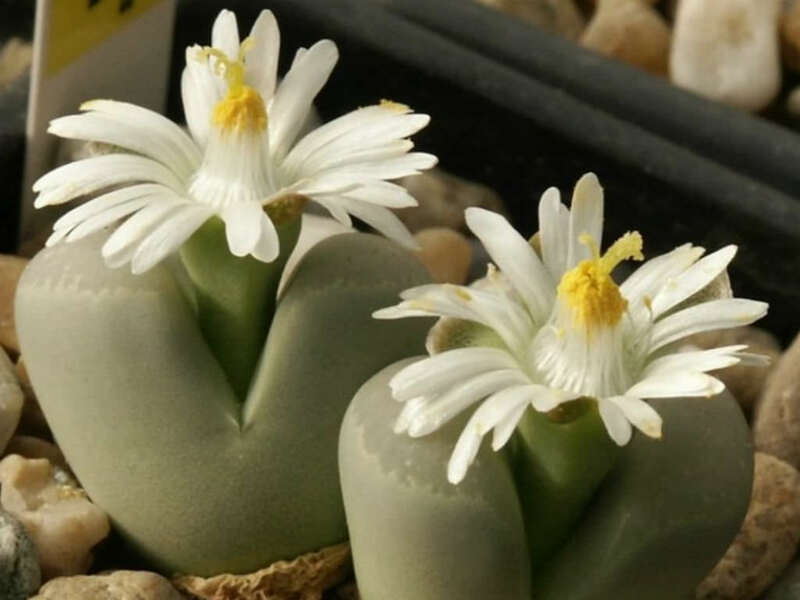 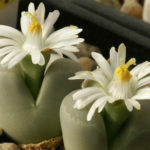 Lithops optica (Marloth) N. E. Br. 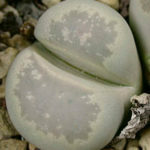 Lithops optica is a succulent with obconical, almost club-shaped pair of opposite leaves up to 1 inch (2.5 cm) in diameter. 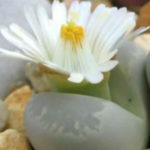 The stem is very short and not visible. 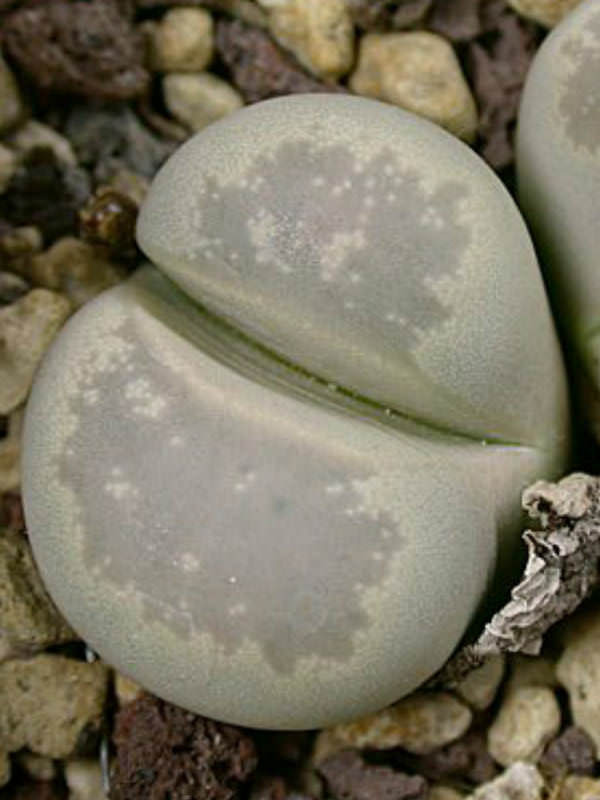 The leaves are windowed at their tops and with a smooth texture, whitish grey to grey green in color with whitish transparent windows. 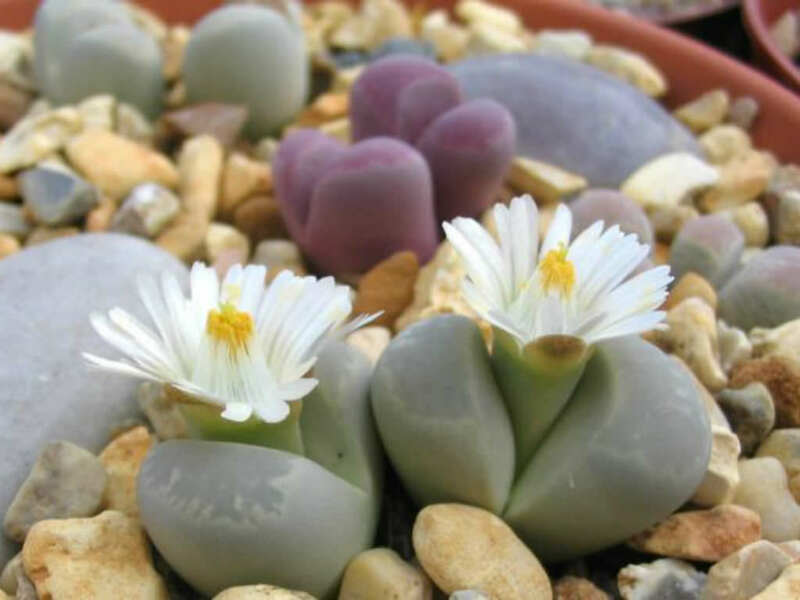 Each leaf pair will produce one solitary, bright, daisy-like flower, white in color, sometimes with pink tips and up to 1 inch (2.5 cm) in diameter.